Purim is the last on the yearly cycle of the biblical holidays. As winter fades our hearts turn to the spring when life bursts from the cold, hard ground. Actually the month of Nissan begins God’s calendar. On the 14th of the Hebrew month (April 19th) we celebrate the first and most important of the feasts of the Lord – Passover. PRAY GOD WILL REMOVE THE VEIL OF BLINDNESS SO THAT JEWS WILL SEE GOD’S PLAN OF REDEMPTION THROUGH THE PASSOVER. 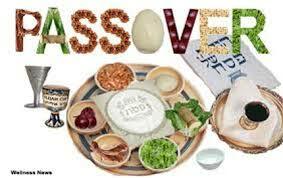 This entry was posted in General, Holidays, Passover ( The Resurrection ) and tagged Exodus 12:1-2, Leviticus 23:5.